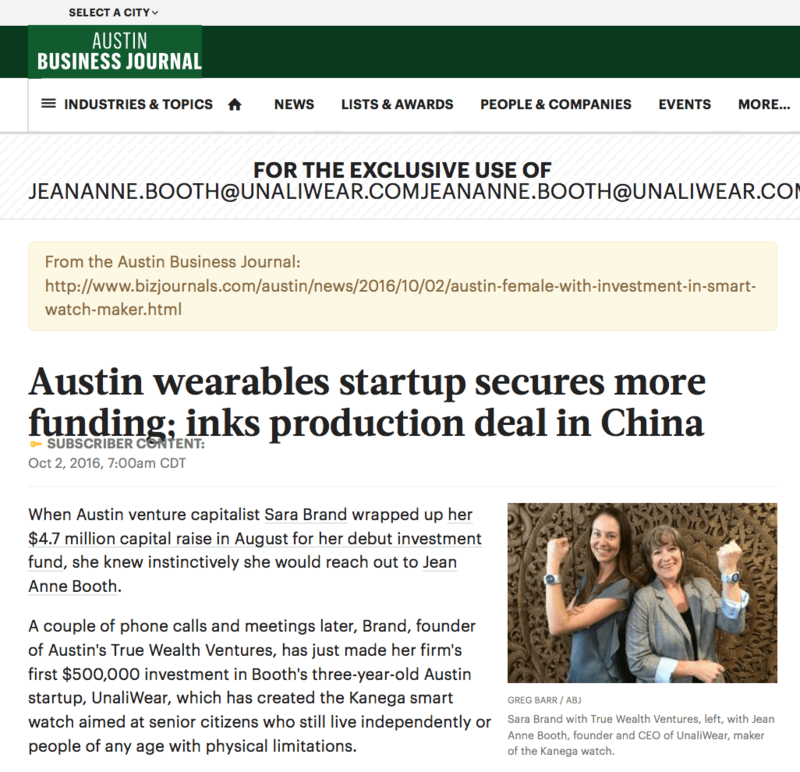 Thank you Austin Business Journal (ABJ) for mentioning UnaliWear in “Austin wearables startup secures more funding; inks production deal in China”. When Austin venture capitalist Sara Brand wrapped up her $4.7 million capital raise in August for her debut investment fund, she knew instinctively she would reach out to Jean Anne Booth. A couple of phone calls and meetings later, Brand, founder of Austin’s True Wealth Ventures, has just made her firm’s first $500,000 investment in Booth’s three-year-old Austin startup, UnaliWear, which has created the Kanega smart watch aimed at senior citizens who still live independently or people of any age with physical limitations. Also, we would like to thank Sara Brand with True Wealth Ventures for helping UnaliWear extend dignity to seniors.